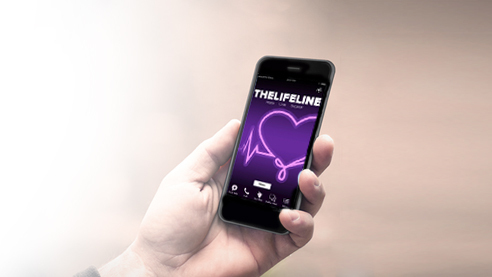 The LifeLine App was developed as a centralized hub to connect people with accredited resources in Canada and throughout the world. We encourage as many people as possible to install the app and take advantage of the incredible amount of information and guidance it offers. In addition to connecting you with immediate help, the Lifeline app includes educational material and prevention strategies that will assist anyone struggling with suicide whether personally or as a result of someone else’s needs. If you have been effected by suicide, are struggling with suicidal thoughts or simply want to become more aware and educated about this devastating issue, we strongly recommend that you install the Lifeline app on your smartphone or tablet. The Lifeline app is completely free and is available to everyone. The app has been specifically designed to provide guidance and support to those currently in crisis as well as to those who have experienced the pain of losing a loved one. Unfortunately, most of us have been affected by suicide in one way or another. Whether a family member, friend, or colleague, it touches all of our lives and the impact can last a lifetime. However, the amount of help and the variety of tools available to those dealing with suicide are plentiful. With the Lifeline App you will have the ability to find and connect with chat, email or text crisis centres across the nation and get the help you need. There is no need to struggle on your own or to feel powerless to help someone you love. The Lifeline App is filled with tools, information and strategies that can make a huge difference in someone’s life. This could be the most important app you ever use.